Having your Honda professionally serviced at a certified dealership comes with a long list of benefits. In addition to a longer lifespan for your car, Honda service technicians are trained by the manufacturer to offer the highest level of assistance and quality possible. From making major repairs to taking care of routine maintenance, certified service technicians like those at Babylon Honda are the backbone of the industry. There are a vast number of benefits to having your vehicle serviced at a Honda dealership. For starters, the service technicians are the best of the best and exceed customer expectations time and time again. Since they’re trained to work on Honda vehicles, the technicians are capable of spotting potential problems before that grow into major money sinks. Their proficiency, eye for detail, and knowledge also allow them to solve common problems quickly, saving on labor costs. Properly maintaining your Honda is important which is why our service technicians only use manufacturer-provided parts. The original parts are designed to function according to the vehicle’s specifications, ensuring that they’ll work without any problems from the time they’re installed. Honda also backs its parts with a warranty so defective units are replaced at no cost to you. Servicing your vehicle at a Honda dealership will allow technicians to keep track of your vehicle’s maintenance history. From repairs to routine maintenance, an accurate service record will help increase your vehicle’s resale value when it comes time to trade it in for a nicer, newer model. Honda technicians can also use your vehicle’s service history to solve any future problems. Honda will occasionally offer service specials and notify frequent customers of great deals. You can take advantage of lower prices on parts and maintenance, saving you money while ensuring your vehicle stays in great shape! 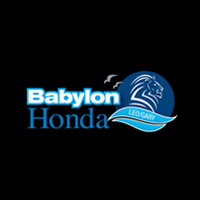 Give the Babylon Honda service department a call at (855) 494-7101 to have all of your automotive questions and problems solved!